– New Jersey is one of four states in the US to offer legal online casino gambling. – Every online casino in New Jersey has an Atlantic City casino partner. – It’s important to look for the NJDGE badge below to know you are gambling at a licensed and regulated online gambling site. – To ensure your safety and security, always gamble online at a legal, regulated NJ gambling site. – All of the casinos on our site are NJDGE regulated sites. New Jersey’s online gambling history is a short and well-chronicled one. For decades, Atlantic City was the premier gambling destination on the East Coast. It essentially served as the Las Vegas of the east. But as the rest of the country loosened their attitude toward regulated land-based gambling, the fortunes of Atlantic City began to suffer. There was the weight of increased competition from Pennsylvania, Ohio, Connecticut, New York, and Delaware. The result was a long decline in local gambling revenue for New Jersey. This situation was exacerbated by the continued addition of casinos in Atlantic City. And it certainly wasn’t helped by the massive economic downturn of the mid-2000s. Those conditions provided the recipe for online gambling to enter the conversation in New Jersey. With the hope that regulating online poker and online casino games might provide a competitive advantage for New Jersey’s casinos — while also providing a financial boost to the state — then-Gov. Chris Christie and other NJ lawmakers worked together to pass a bill that legalized NJ online gambling sites offered by licensed AC casinos in 2013. That hope was born out in the years that followed. In fact, in 2016 NJ’s online casinos powered the state to the first year of casino revenue gains in a decade. Without revenue from online gambling sites, Atlantic City’s casinos would have continued a yearlong slide. Hence, bringing casinos online in New Jersey has proven a wise decision. And as a result, both casinos and tax collectors have benefited to the tune of tens of millions of dollars. Bottom line: Online gambling in Atlantic City has helped New Jersey’s casino industry recover from the most challenging period in New Jersey gambling history. Hold a valid Internet Gaming Permit (issued by the NJDGE). Submit all games and systems for audit by the NJDGE. Ensure that only players located within the state of New Jersey at the time of play can access real-money games. Ensure that only players 21 and older can access real-money games. Pay a 15 percent tax on gross gaming revenues to the state of New Jersey. Pay a variety of additional taxes and fees (e.g., responsible gambling, license fee). Allow for complete financial auditing of all funds flowing in and out of the site. You can view the full text of the regulations governing online gambling in New Jersey here. All NJ online gambling sites are subject to these regulations and additional oversight by the NJDGE. Why do you need a list of NJ online casinos? Simple. It’s because there are still plenty of online casinos out there pretending to be safe and legal. And if you’re not careful, it’s difficult to know the difference between the legal NJ online casinos and those that are based offshore. With offshore online casinos, you don’t know what you’re getting — the games may not be fair, and your money may not be safe. But with licensed NJ online casinos, you can enjoy the comfort of knowing that the sites are regulated by the same body — the NJ Division of Gaming Enforcement. This means you know who is accountable if there’s a problem with your account. Here is the list of legal NJ online gambling sites (casino and poker). These sites have been verified with the NJDGE as of 2019. 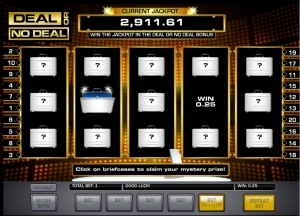 As for the best online NJ casino, you can browse our reviews and details of opening bonuses here. But all licensed NJ casino online gambling sites are the same when it comes to safety, security, game fairness, and account integrity. And here is the list of legal NJ online sportsbook apps. These sites have been verified with the NJDGE as of March 2019. More online sportsbooks are in the works, but bottom line is that this is yet another avenue for online gambling revenue in NJ. You can read more about the NJ sports betting industry here. What are the latest updates from NJ gambling sites? NJ gambling sites are still offering very generous sign-up and deposit bonuses. And on top of that, players now have even more games to explore and online sportsbooks to bet on. It’s a whole new world in NJ online gambling. Once PASPA was repealed in May 2018, NJ sports betting took off and now boasts 13 active sportsbook apps, eight Atlantic City sports betting locations, and two North Jersey racetrack sportsbooks. That’s 23 total sports betting options in the state. After five years, NJ gambling sites show no signs of slowing down. In fact, NJ online casinos added a couple of new sites in December and January, too — BetAmerica and DraftKings casino games. And NJ online casino revenue continues to soar in 2019. However, five years in, Golden Nugget still leads the charge with 500+ online casino games and $12 million in revenue. And live dealer games are now at more sites than ever including DraftKings, Hard Rock, 888 Casino and SugarHouse online casino. How do I deposit at NJ online gambling sites? Our coverage touches on a variety of topics having to do with online and land-based gambling in NJ. There are a few key issues that form the basis of the majority of our coverage, listed below in no particular order. Our coverage includes a detailed analysis of the regularly-released information regarding the financial performance of the online casinos and online poker sites operating legally in New Jersey. We go beyond the NJ online gambling numbers to provide depth and context. We report not only the numbers for NJ online gambling site revenue but what those numbers mean for individual casinos and the broader regulated market for NJ casino online gambling. Companies licensed to operate land-based casinos are the only entities that can hold licenses to operate online gambling sites in NJ. While some Atlantic City casinos partner with other brands to offer NJ online gambling sites, there is always an Atlantic City casino holding the ultimate license to operate online betting in NJ. As a result, what happens in one industry usually has a direct effect on the trajectory of the other. This means that keeping tabs on developments in Atlantic City is a critical part of staying up-to-date and informed about the online gambling industry in New Jersey. The decision to regulate online gambling is far from the last political decision regarding gambling in the Garden State. The gambling industry in NJ is interconnected, as mentioned above. Any news that’s relevant to the land-based side matters to the online side as well, at least to some degree. For example, the state of NJ was at one point locked in a pitched debate regarding the concept of expanding casino gambling outside of Atlantic City. That development, if it had come to pass, would’ve held significant implications for regulated online gambling. And, depending who won the new licenses to operate in other parts of NJ and how said licenses were handled, there could have been an expansion of the number of online gambling sites. If the new competition from additional casinos harms an Atlantic City operator, support would have shifted. However, voters turned down any idea of a casino expansion in 2017, effectively making the subject moot. That’s just a quick example to make the central point. The gambling industry in NJ is effectively one industry, even though it’s easy to imagine a delineation between land-based and online gambling. The online gambling product in NJ is constantly evolving. New online poker sites open and online casinos add new game variants. Additionally, operators continue to roll out a steady stream of promotions and bonuses in an attempt to entice players to sign up or switch brands. One of the core advantages of a regulated online gambling environment is that players can take comfort in knowing that a regulator is watching NJ’s online poker and casino games to ensure that everything is on the up-and-up. Regulators are also available to help mediate consumer issues or other complaints. Additionally, systems are in place to prevent unauthorized access by underage or out of state players. These and other topics are an important piece of the larger puzzle of NJ’s online gambling industry. What sites are legal and licensed by New Jersey regulators? These seven Atlantic City casino operations actually host 26 different online poker and casino sites. When did NJ legalize online gambling? On Feb. 26, 2013, a bill permitting internet gambling in the state was approved by the New Jersey Legislature. It was signed into law by then-Gov. Chris Christie later that day. It took almost nine months before legal and regulated online gambling actually launched in New Jersey. Who can play at NJ’s legal online casinos? Anyone over the age of 21 and physically located inside the state of New Jersey can play on the state's legal and regulated online gambling sites. The sites verify identification and use geolocation software to ensure both these stipulations are met. How many legal online casino and poker sites are there in New Jersey? There are 19 different online casinos and seven different online poker sites licensed to operate in the state. That makes a total of 26 NJ online gambling sites. Two of the online poker sites operate on the same network, sharing player pools. Another online poker network shares player pools between three of the sites. What is the connection between land-based casinos and online gambling sites? New Jersey law dictates Atlantic City casinos are the only entities that can be licensed to run online gambling sites. However, the casinos can partner with outside entities to host online casino operations for them. Several do. However, the same laws dictate the computer servers operating the online gambling websites must be located at licensed casinos in Atlantic City. That means that in effect, all of New Jersey's online gambling websites are being run out of Atlantic City casinos. What types of casino games can you play online in New Jersey? When did the first legal NJ online gambling sites open? The state's first online gambling websites officially launched Nov. 26, 2013.
Who oversees and regulates NJ online gaming sites? New Jersey's Division of Gaming Enforcement oversees and regulates NJ online gaming sites and NJ online sports betting sites. It handles things such as licensing for the sites, tax revenue collection, and game testing and approval. Who is the leading NJ online casino in terms of revenue? Golden Nugget emerged as the New Jersey online gambling market revenue leader in 2017. 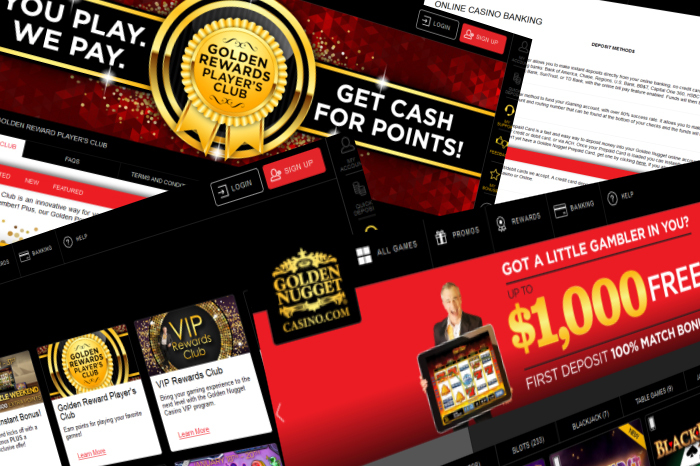 In fact, Golden Nugget has continued to dominate the market into 2019, becoming the first site to post more than $12 million in revenue in a single month in January 2019. How do I make a deposit at NJ’s legal gambling sites? How do I know what is a legal NJ online casino and what is an illegal one? All of New Jersey's legal and regulated gambling sites have a Division of Gaming Enforcement licensed and regulated insignia on the home page linking out to the division's website at http://www.nj.gov/oag/ge/index.html. All of the state's legal and regulated online gambling websites are listed on the NJ Division of Gaming Enforcement website. They are also listed here in this FAQ. If it's not on the lists and you can't find the Division of Gaming Enforcement licensed and regulated insignia on the site, it isn't legal in New Jersey. Sports betting is officially legal in New Jersey. On May 14, 2018, the Supreme Court struck down PASPA, clearing the way for NJ (and other states) to begin offering legal sports wagering. The state first tried to legalize sports betting inside its borders in 2011. In December 2017, the US Supreme Court heard the state's case against the law that bans sports betting operations almost everywhere outside of Nevada. A decision was rendered on May 14, 2018 that declared PASPA unconstitutional. This means that New Jersey is free to offer sports betting to residents and visitors. How many legal online sportsbooks are in New Jersey?